Windows 10 – Be VERY Careful! Once again, Microsoft screwed the world with its Windows 10 feature called Wi-Fi Sense. 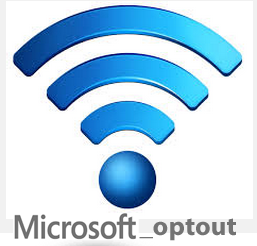 This nasty feature has serious legal implications for it will automatically connect your personal Wi-Fi network to anyone in your e-mail list using HotMail, Skype, or Outlook, and even Facebook, making those friends questionable. If any such person comes within range of your home Wi-Fi, they could secretly access your system from hundreds of yards away. The real problem with this is rather sinister. The government would no longer need a search warrant for your surrendered privacy; good luck finding a judge who will uphold the rights that exist only in your imagination. I just saw the new “Terminator” movie. The AI computer that decides to eliminate humankind begins as a system called “Genesis” with exactly the same profile – to connect you to everyone instantly. While I do not believe that we are dealing with such a creature, I do worry about the full Stalinistic powers this provides the government, as this will grant them access to hunt down anyone who dissents from their view. Suddenly, we all become the next Snowden since disagreeing with the government is now TREASON. Such powers are not necessary, and while Windows 10 supposedly allows you to opt-out, this setting is the default – they know what they are doing. The vast majority of people do not understand computers and they will be surrendering all rights to Microsoft without understanding what they have done. Why is Microsoft acting in such a hostile manner towards human rights? « Was McCain’s Laptop Hacked – True or False?